Well, the day has come! Tomorrow morning, in less than 12 hours, I will begin the biggest and most challenging trip of my life: cycling across Europe! I am nervous, I am excited for the trip, I am eager to be on the road and to see new places! I recently talked to my couchsurfing hosts and they are waiting for me, everybody wished me a nice and safe trip… oh, I am going!!! I really am going!! … and that includes the clothes I will be wearing and all the food and water that I have at departure. 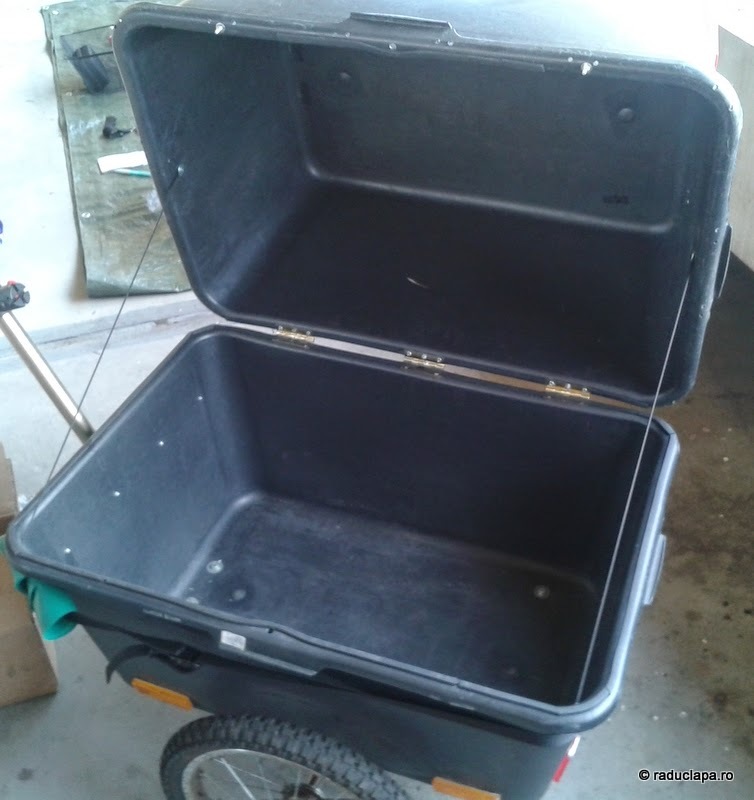 Everything will be placed inside my custom-made trailer, which by itself weighs about 15 kg (included in the 60 kg I told you earlier). Come to think of it now, I may have taken too many clothes, but on the other hand, I need them, right? And, also, today I grabbed two TravelBugs from Pawel (which I thank for the countdown counter) so I will be going on my trip with 3 TB. One of them is the MixTape. Now that the mix is ready (mostly Andrei’s work) we placed it on the bug and it is ready to go! I do not know where I will drop it, but it would be far from here. 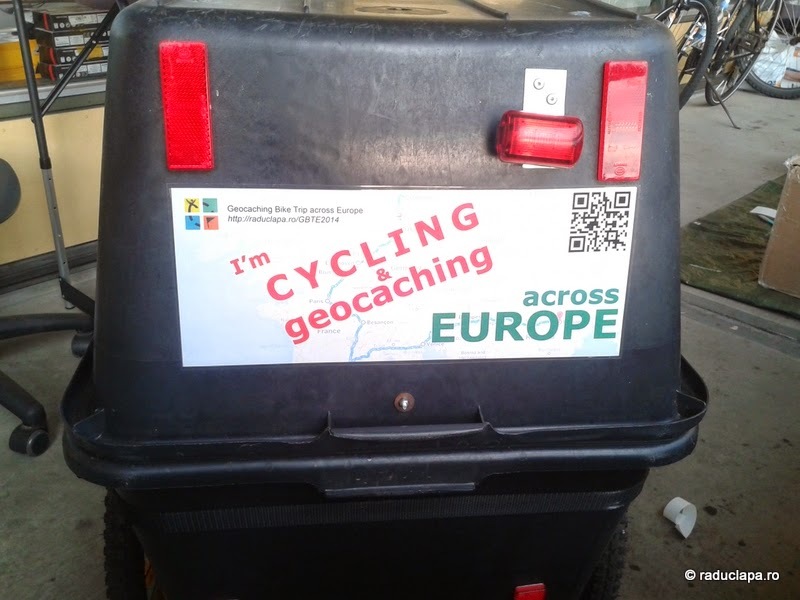 So, I will be leaving home with 3 TravelBugs, 148 caches found and 0 km on board! These figures will increase gradually as the days go by, so you will be able to watch the „evolution”. I will be sending info from the road in order to update the blog. 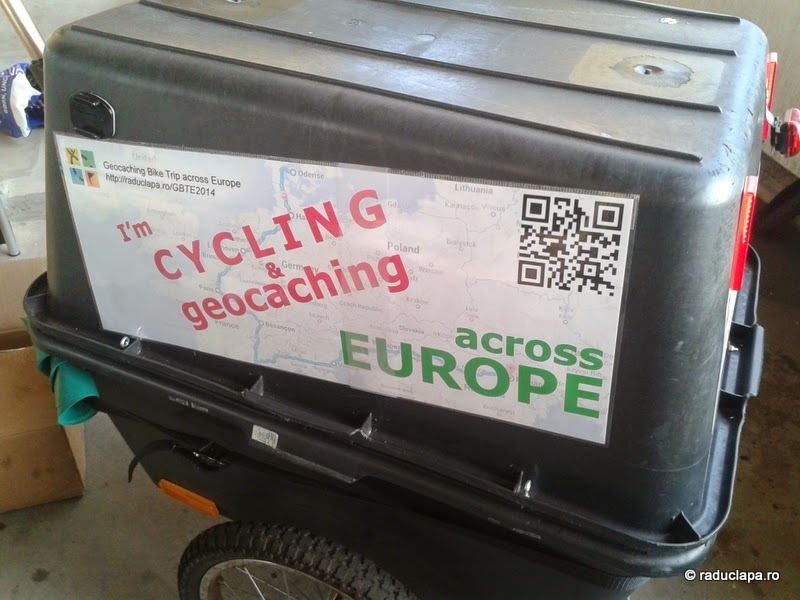 If you wish to follow me, meet me on the road, ride with me or geocache with me.. just visit the blog, see where I am and then we will see what we will do. You can write comments and let me know about your intentions. Besides the blog and my e-mail, you can contact me via mobile phone, in case of emergency. Until I get out of Denmark I will be available on my danish number, afterwards, only on the Romanian phone number. I think that’s about all that I can tell you right now! I hope I didn’t forget anything. Tomorrow I will be still in Denmark, and on Tuesday I will be in Germany, sleeping in Flensburg. I hope I find some WiFi there, if not, maybe on Thursday you will have the updates! Hope to God the trip will be great! I met you almost two years ago, and we managed to become very good friends ever since you arrived in Denmark, at the end of last year. Along the way, through good and bad moments, I started to appreciate and love you more ! And now I am jealous ! Of all the things you have accomplished and you are starting to do. And a bit scared. But mostly happy for you (even though you are leaving Denmark) ! I wish you all the best in happiness and health and may your journey be safe and full of wonderful moments ! And, even though you pedal by yourself, you are not alone in this journey. We are all behind you and our thoughts will always light your path.